A “force of nature,” the Italian-born exec rescued two car companies. Sergio Marchionne was a dynamic game-changer that many could only watch as he raced by. Sergio Marchionne, a man more than once called “a force of nature,” has died from a stroke at the age of 66, an unexpected complication following what had been expected to be “routine” shoulder surgery last week. In an era when many businesspeople crave anonymity, Marchionne’s public appearances often turned into events, rather than mere news conferences. And perhaps for good reason considering there are few executives who could lay claim to having saved two separate automakers, Fiat and Chrysler, before bringing them together to form a global powerhouse. Word that something had gone wrong came around noon Eastern time on Saturday when FCA issued a brief statement revealing that the Italian-born and Canadian-educated Marchionne experienced “unexpected complications,” and that his conditions had “worsened significantly in recent hours.” Subsequent news reports from Europe indicated the executive had suffered a stroke, fallen into a coma and was placed on a ventilator at a Swiss hospital. FCA issued another terse statement indicating his passing early this afternoon in Europe. “Unfortunately what we feared has come to pass. 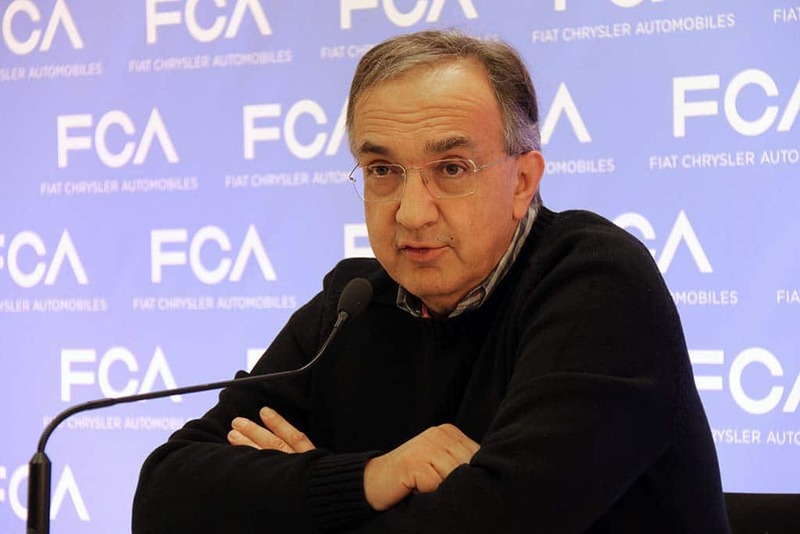 Sergio Marchionne, man and friend is gone,” said FCA Chairman John Elkann, heir to Fiat’s founding Agnelli family which still owns a controlling stake in the trans-Atlantic automaker. 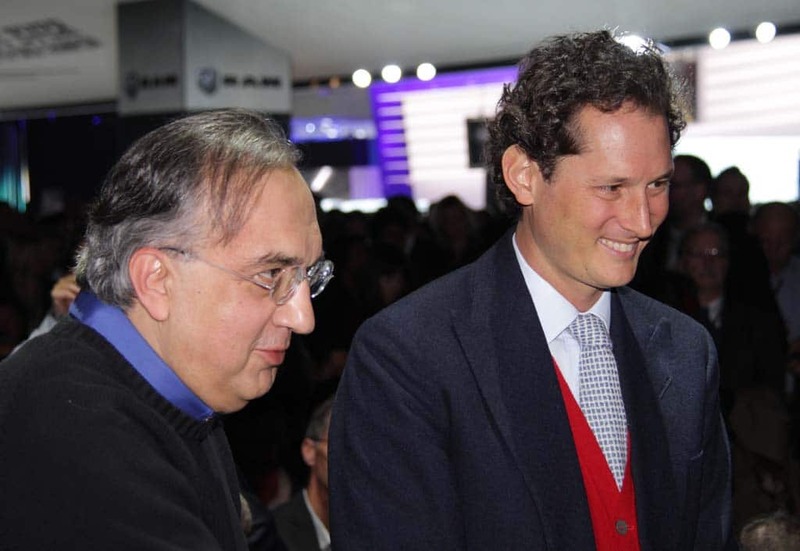 Marchionne shown during an appearance with John Elkann, FCA chairman ang Agnelli heir. Elkann asked that the media “respect the privacy of Sergio’s family,” which included his wife Manuela, and sons Tyler and Alessio. While Marchionne was frequently out in the public eye, his immediate family was almost invisible over the years. “The news is heartbreaking and will be heartbreaking to a lot of people. Sergio was a unique individual and he will be sorely missed,” added new FCA Chief Executive Michael Manley. Born in a Abruzzo, Italy, Marchionne’s family migrated to Toronto when he was 13 and, over the years, Marchionne was as likely to call himself “Canadian” as Italian. He earned degrees at the University of Toronto and later at the University of Windsor, a tunnel or bridge ride away from Detroit. But it would take him until well into his 50s before he would start working across the border. In his early career, Marchionne worked as a tax specialist for consultancy Deloitte & Touche in Canada. He followed that with a series of jobs in North America and Europe, adding the CEO title for the first time in 1997 with the Alusuisse Lonza Group Limited, in Zurich. Marchionne first entered the auto industry in May 2003, when he was elected to the board of Fiat. A year later, he was appointed CEO of what was then, by many accounts, a failing car company. Marchionne refused to follow the traditional playbook, risking the wrath of Italy’s tough unions by cutting jobs and even closing plants. His initially controversial strategy helped bring Fiat back to life and positioned it to soar through the global automotive downturn that began in 2008. In the U.S., two Detroit automakers weren’t faring nearly as well as the Great Recession saw car sales drop to their lowest level in decades. The 66-year-old exec was almost never seen without the black sweater he said he bought by "the gross." By 2010, Chrysler, the smallest of the domestic U.S. carmakers had, along with cross-town rival General Motors, was forced to file for Chapter 11 protection. 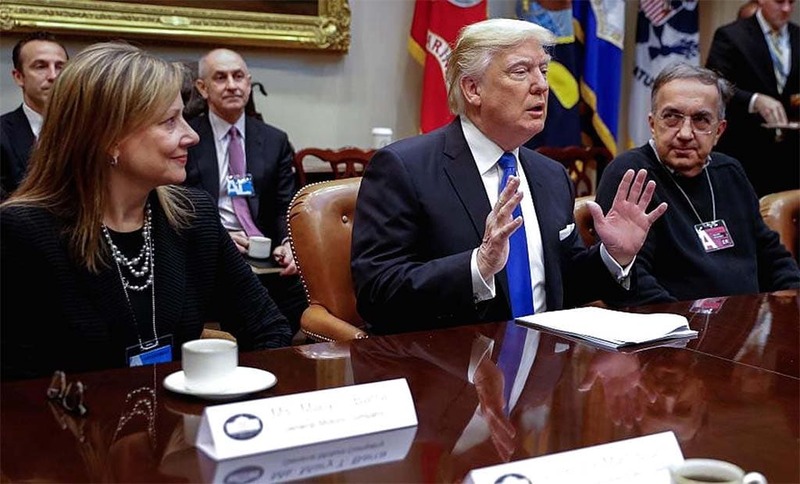 But while then-President Barack Obama authorized a federal bailout for GM he was initially reluctant to rescue Chrysler. Then Fiat stepped in, and with a white knight at the ready, Obama approved a bailout for the smaller carmaker. Over the next several years, Fiat and Chrysler began to combine their operations while Marchionne steadily bought out the shares held by others participating in the Detroit automaker’s rescue. Finally, after acquiring the last stake, granted to the United Autoworkers Union in return for worker concessions, Marchionne formally combined the two companies into Fiat Chrysler Automobiles. Those who have worked with him over the years have described him as a force of nature, constantly on the move, winging from Chrysler’s headquarters in the Detroit suburbs to Fiat’s old home in Italy, while also making stops at FCA’s legal headquarters in London. Pres. Donald Trump recently referred to Marchionne as his "favorite" among the auto CEOs. “He’s an extra-dynamic individual with endless energy,” David Cole, director-emeritus of the Center for Automotive Research, told TheDetroitBureau.com shortly after word went out that Marchionne was seriously ill. Even while winging around the world for FCA, Marchionne had plenty of other tasks to keep him busy. He remained the CEO of Ferrari, the supercar manufacturer that the carmaker spun off two years ago. 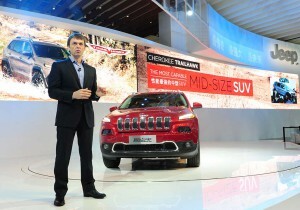 He also was chairman of the agricultural and commercial vehicle unit Fiat had spun off before merging with Chrysler. Marchionne was also seen by many as the voice of logic for the auto industry as a whole. In 2015, he presented his views under the title, Confessions of a Capital Junkie. His vision was almost apocalyptic, warning that there was too much capital being spent chasing too little in the way of returns. The only solution, the FCA CEO could see was a major industry consolidation. And he thought it had to begin at home, so to speak, Marchionne arguing, almost from the moment FCA was formed, that it needed to find another partner. Over the years since he chased a lot of possibilities, including both Volkswagen and General Motors, but was routinely rebuffed. Whether FCA will continue to seek consolidation now will be up to Marchionne’s successor, 54-year Mike Manley, who was appointed the carmaker’s CEO on Saturday. Manley was widely expected to replace Marchionne when his planned retirement took place next spring. The 66-year-old executive clearly left things in better shape for his protégé than when he himself formed Fiat Chrysler Automobiles. 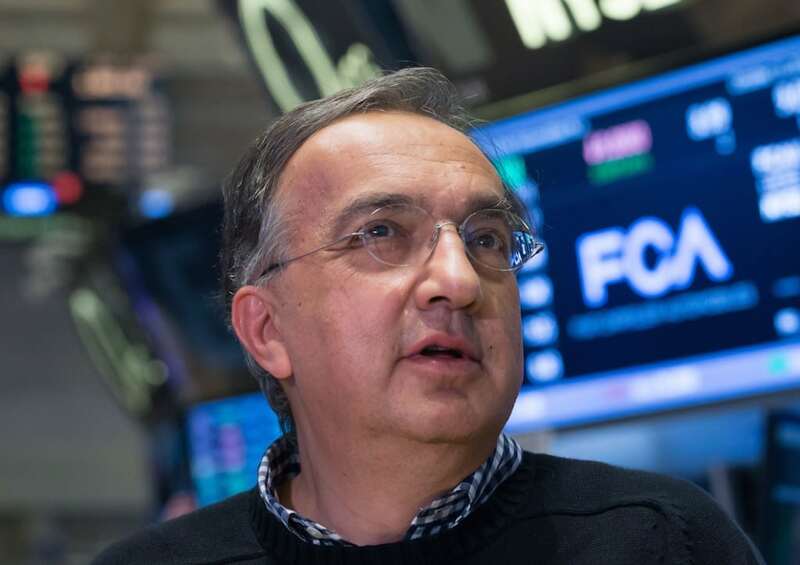 During a meeting in Milan in June to unveil FCA’s next five-year plan, Marchionne proudly declared that he had finally paid off the last of the company’s industrial debt, one of his top priorities. But there remained a lot of “ifs” in the plan. It sees the company downplaying its two marquee brands, Fiat and Chrysler, to focus on just four of its many badges: Detroit-based Jeep and Ram, and Italy’s Alfa Romeo and Maserati. While Jeep and Ram have scored major sales gains in recent years, Alfa, in particular, fell well short of the targets set under the previous five-year plan. And there will be other challenges, including the need to push more aggressively into two tech sectors expected to radically alter the global auto business: autonomous driving and electrified powertrains. Marchionne was skeptical and cautious about embracing them, though they gain significant priority under the new five-year plan. Analysts and investors have taken a cautious, wait-and-see view of the five-year-plan, but there is little doubt that Marchionne has earned tremendous respect for what he did accomplish during his relatively short turn in the auto industry. “His legacy is having combined two companies to create a relatively sold, relatively strong global manufacturer,” said Joe Phillippi, a Wall Street veteran who now runs AutoTrends Consulting. Without Marchionne, he says, the odds were poor that there’d be either a Fiat or Chrysler, never mind a Fiat Chrysler, today. This entry was posted on Wednesday, July 25th, 2018 at and is filed under Alfa Romeo, Automakers, Automobiles, Autonomous Driving, Business, Chrysler, Dodge, Earnings, Electrified Vehicles, Executives, FCA, Fiat, Financials, GM, Investors, Jeep, Markets, Personalities, Ram, Technology, Volkswagen. You can follow any responses to this entry through the RSS 2.0 feed. Both comments and pings are currently closed. I think GM needs to be given a mentioned for helping get Fiat out of debt to the tune of a couple billion dollars. Let’s not forget the Fiat-GM JV that GM broke bad on, with that early departure forcing them to hand over billions of dollars to Fiat, which allowed them to stay afloat and flourish. And this to the CNHi tie-up, they were flush with cash at the time (which SM also used to go on a buying spree) and the bailout, and you have FCA. May be harshly honest but he didn’t do it on his own. There was a lot timing and other people’s cash that made it happen.